I am -finally- leaving again, this time back to the Asian side of the world, I am heading to Taiwan working on what's supposed to be the second part of the upcoming Journal de Bord. At the same period of last year I was leaving Paris for Tokyo, it feels a bit weird to realize how times flies (thanks Facebook for reminding us how we are getting older faster than light) but yes, it feels great to fly again over there. 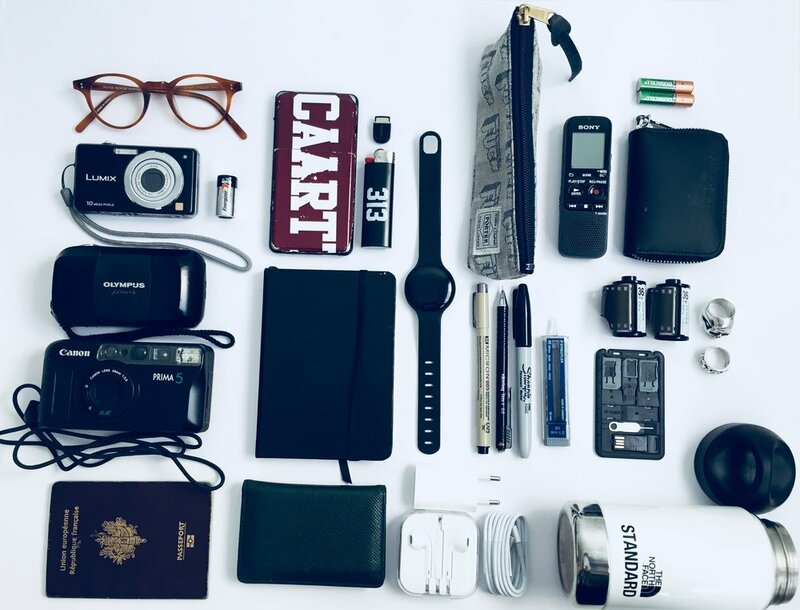 I am definitely ready, everything is packed up, I brought my essentials with me -as usual- I took a picture of the tools I am always carrying with me and it is interesting to see how it is growing throughout the years and travels.